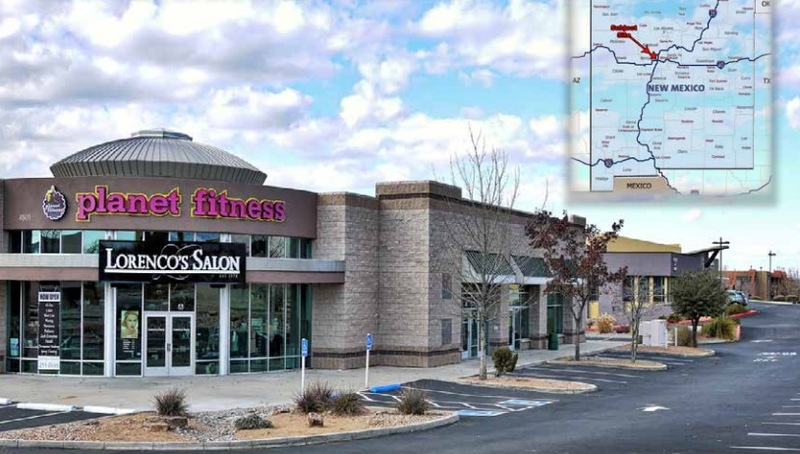 4801 Alameda Blvd NE is a 91.5% occupied, retail/showroom building located in Albuquerque, New Mexico's desirable North I-25 Corridor submarket. The property includes 26,638+/- square feet of physical improvements situated on 2.02 acres, plus an additional 1.06-acre vacant parcel of adjacent, separately-platted land. Six of the seven total retail units in the building were leased to a diverse mix of tenants with staggered lease terms, which offered stable and predictable income with minimal management oversight. Tenants included Subway, Planet Fitness, Lorenco's Salon, California Closets, Creative Lighting, and Roasted Pepper Design. The property was listed for sale by the Ransom-With Team in December of 2013 and was formally introduced to the market in February of this year, and successfully closed on May 27. The buyer was a local investor represented by John Lewinger of Colliers International. The property was listed for $4,225,000 and had a net operating income of approximately $275,000. 4801 Alameda Blvd NE was initially developed by a local investment group in 1999. Owner-broker, John Ransom, was an investor in the project and was responsible for all leasing activities during the course of ownership. Initially named as the New Mexico Design Center, the property was tailored to tenants in the residential construction and remodeling industry. When the housing market dipped 2009, the ownership group repositioned the center into a more diverse, general commercial property to better serve the area's housing and employment base.